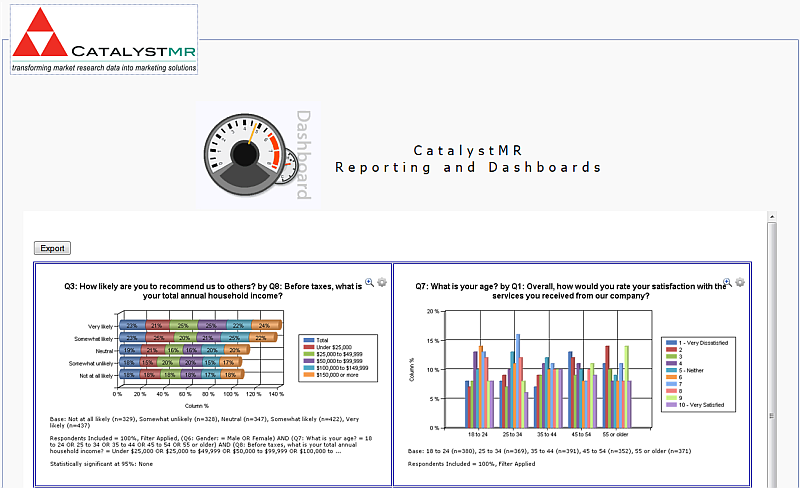 Ideal for online surveys, mobile tracking survey or for keeping key decision makers on the pulse – CatalystMR provides custom views of your key real-time metrics in graphical and/or tabular format customized to the viewer. 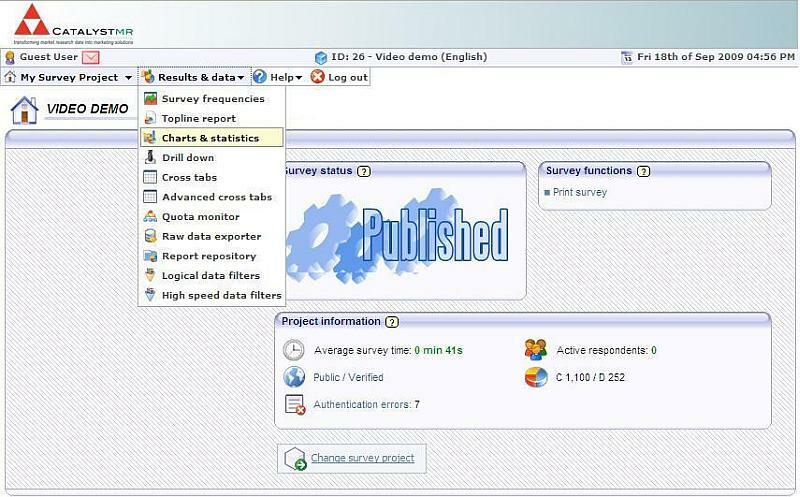 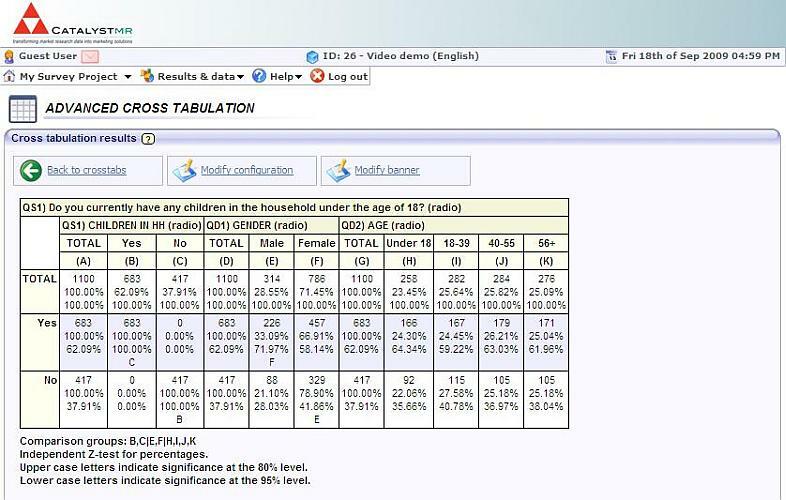 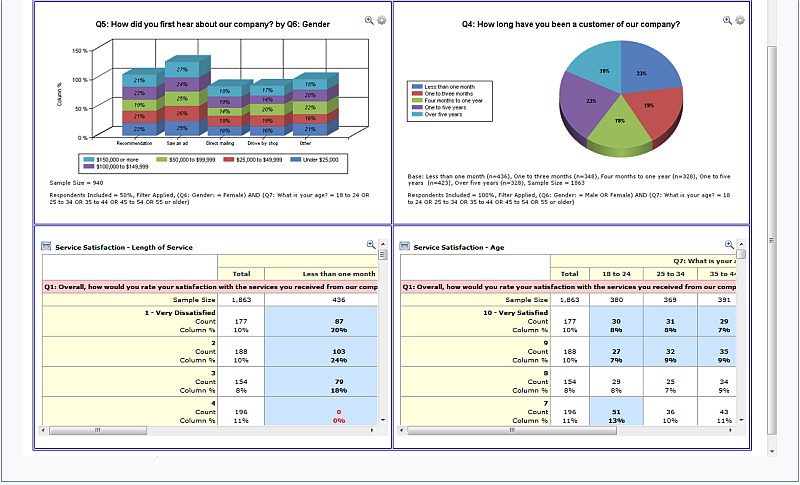 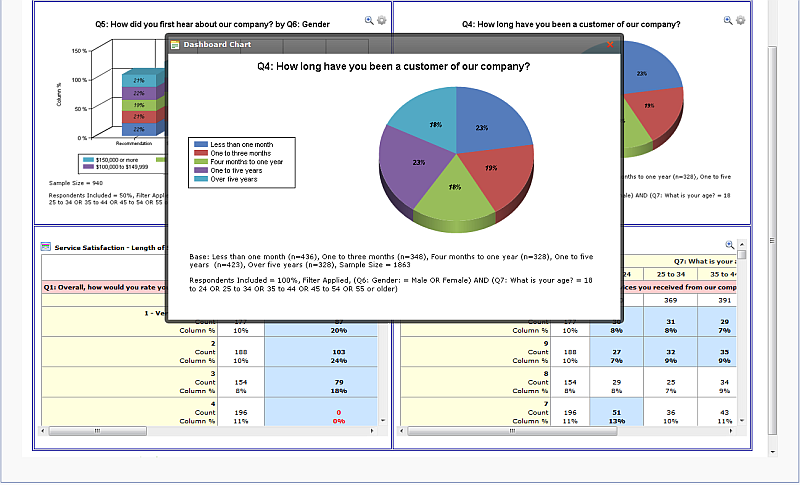 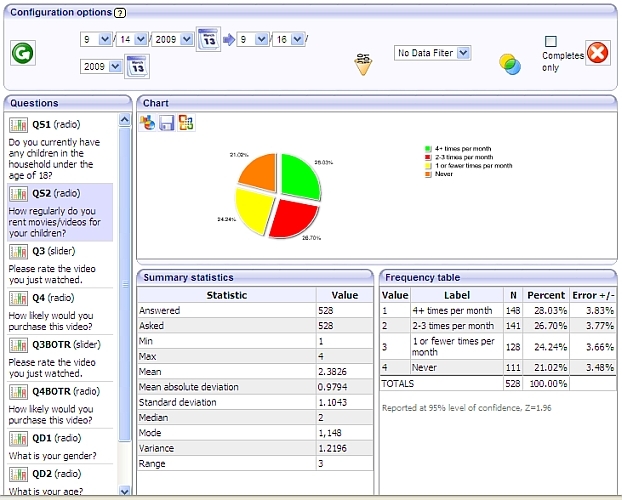 Survey Data Dashboards are password protected and are custom branded for you or your client. 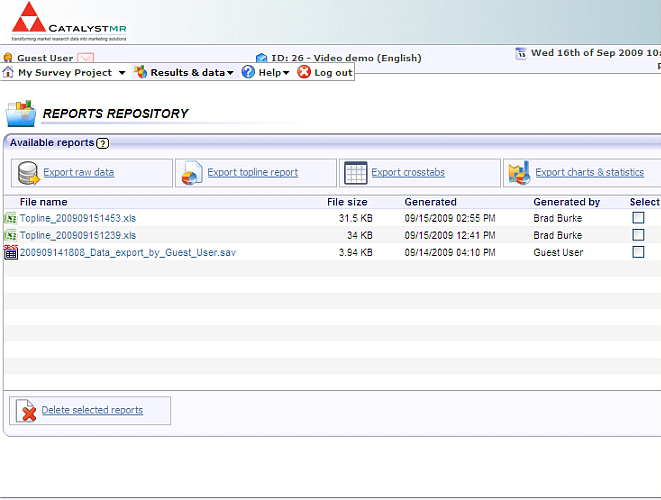 Nothing can be more “custom” than that!